Did President Obama Spring a Trap? Was it just the way things played out or was it a carefully crafted strategy brilliantly executed? A year ago the prospect of a second term for Preside’snt Obama presidency looked problematic, at best. A lousy economy, high unemployment and intractable legislative gridlock will do that. And, to make matters worse, Obama’s base sent him to Washington to implement change, not compromise his way to the middle, as was evidenced by the way the health care bill was negotiated; give, give, give and get damned little back in return. Then came the midterm elections. The house was lost and the incoming Republicans, most of them Tea Partiers, vowed to obstruct Obama at every turn even as he continued to play nicely with others. Frankly, it drove me nuts until the debate over the debt ceiling. It was here that the political calculus seemed to shift. With the ultra-conservative ideology of the Tea Party holding sway over the House, with Majority Leader and Tea Party favorite Eric Cantor holding a gun to Speaker John Boehner’s head, President Obama held his ground, refusing to provide offsets for the debt ceiling increase. But it was something John Boehner said in a press conference that connected the dots for me. 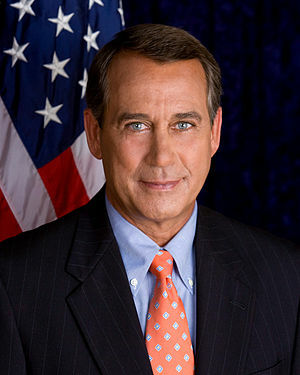 Boehner called on the President to display some leadership and to bring the sides together. In other words, he wanted the President to do what he (Boehner) wasn’t able to do within his own party. To say it another way, he wanted Obama to step into what had become an abyss of irreconcilable differences … differences that had Boehner swinging in the wind. Wisely, President Obama declined to do so in favor of allowing the inevitable dysfunction play out. Of course, from my liberal outpost in the suburbs of north Jersey I can only speculate as to what the overarching strategy really was (or even if there was one), but if ever there was a time for a trap, this was it. I believe that the Republican Party correctly sees 2012 as the biggest election in generations and, perhaps the swan song of its conservative, trickle-down-economic ideology. The reasons are many but chief among them are increasingly unfavorable demographics as non-white populations continue to increase, and baby-boomers continue to age. That creates an all-in sense of urgency that will make the 2012 Presidential election the dirtiest and the most corrupt in the history of the Republic. Fortunately, the President appears to have recovered from a couple of tough years, while the other side looks like a bunch of monkeys trying to screw a football.